Today’s look demonstrates how one really great piece can really help put together a fun outfit. Using a pair of Black Milk Clothing leggings as my inspiration, I use color and simplicity for this carefree look. I picked up these Woman in Red leggings during Black Milk’s black Friday sale last year, and they’re probably one of the items I get complimented on the most. Since I tend to go with darker colors for leggings, it was fun to get something so colorful. 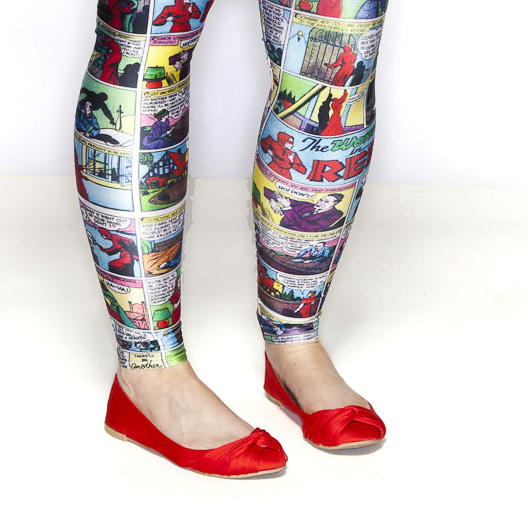 Plus, with a comic motif, you definitely can’t go wrong! Because the leggings were so colorful, I chose to pair them with a black dress so the they would be the star of the outfit. This jersey tank dress from Old Navy fit the bill, and is super comfy to boot! You might have noticed the theme I went with for this outfit… Red! Since the leggings had so many pops of red in it, I decided to carry that over into the accessories and shoes. The belt was something I found at Forever21 and the necklace I had on hand. The shoes are the same ones I wore for this outfit. I do think that a pair of red heels could really dress up the look. 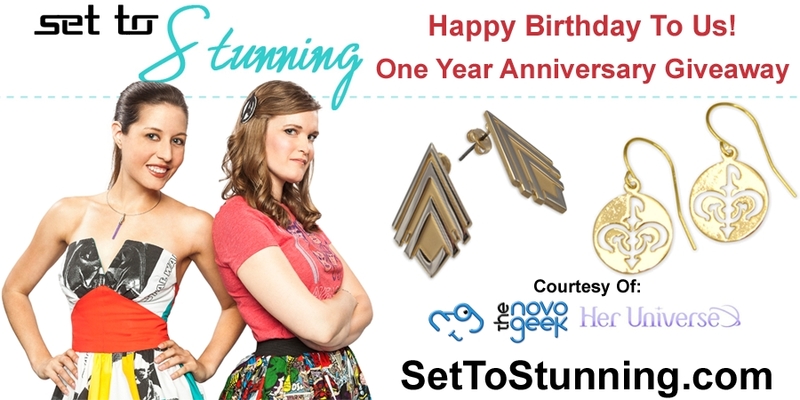 If you haven’t already, don’t forget to enter our giveaways. We have two! The first one is on the blog in this post. The second one is on our Facebook Page. Definitely enter both to increase your chances of winning something great! As always, feel free to give us feedback on our Looks, or share your outfits or styling tips!